A low-carbohydrate, high-fat ketogenic diet (KD) can help to treat refractory epilepsy, a condition that affects more than a third of epileptic patients who don’t respond to existing anticonvulsive drugs. What scientists haven’t understood is how this kind of diet can help to prevent seizures. A team at the University of California, Los Angeles (UCLA), has now found that gut bacteria play a key role in mediating the protective effects that a ketogenic diet can have on refractory epilepsy. In vivo studies by Elaine Hsaio, Ph.D., and colleagues established a causal link between two specific types of gut bacteria that flourish under a ketogenic diet and protection against seizures in two different mouse models of epilepsy, including one that mirrors human disease. Interestingly, they found both of the bacterial species must be present to protect against seizures. The ketogenic diet is increasingly used to treat epilepsy, as well as disorders including autism spectrum disorder, Alzheimer’s disease, metabolic syndrome, and cancer, but just how the diet exerts its beneficial effects on the brain and behavior isn’t clear, the authors say. The gut microbiota represents a key intermediary between diet and host physiology and plays a role in modulating metabolic, neurological, and metabolic pathways that might be relevant to KD diet-induced seizure protection, they suggest. It’s a feasible concept, because gut microbiota are also increasingly being linked with changes in factors that are relevant to how neurons communicate, including neurotransmitter signaling, synaptic protein expression, and myelination, as well as to complex stress-induced social and cognitive behaviors. “Notably, several clinical studies report that antibiotic treatment increases risk of status epilepticus or symptomatic seizures in epileptic individuals, suggesting a possible role for the microbiota in mitigating seizure likelihood,” the researchers write. Given emerging evidence linking gut microbiota to dietary responses, neuronal activity, and behavior, the researchers hypothesized that the gut microbiome may also play a role in the antiseizure effects of a ketogenic diet. They evaluated the effects of this type of diet on two different mouse models of epilepsy, one of which undergoes electrically induced seizures and another that spontaneously develops tonic-clonic seizures. Initial tests confirmed that the KD led to changes in the gut microbiome in mice within just a few days. While some gut bacterial species were lost as a result of KD feeding, populations of others, including Akkermansia muciniphila and Parabacteroides species, were significantly increased in KD-fed mice. 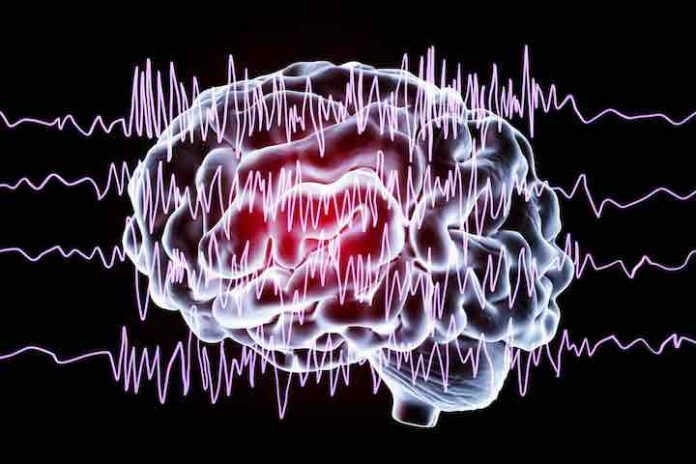 In the mouse model that exhibits electrically stimulated seizures (the 6-Hz model), a ketogenic diet provided protection against seizures: a higher current intensity was required to trigger seizures in the KD mice, compared with the current needed to trigger seizures in animals fed a control diet. Studies also confirmed that the gut microbiota had to be present for the 6-Hz mice to be protected against electrically induced seizures. A KD had no beneficial effects on seizure induction threshold in animals reared germ free, or mice treated with antibiotics, which can distort the balance of gut bacteria. However, protection against seizures could be restored in KD-fed, antibiotic-treated mice by giving the animals an oral gavage of A. muciniphila and Parabacteroides bacteria, which recolonized the gut microbiome. Administering both types of bacteria increased by 36% the electrical threshold for triggering a seizure. Interestingly, transplanting the gut microbiota from KD-fed mice to animals fed the control diet also raised the recipients' seizure induction threshold levels. The effects were reversed when reverting the KD microbiota to those that would normally be found in CD mice, “suggesting that persistent interactions between the KD microbiota, diet, and neuronal activity are required,” the authors point out. The team then carried out tests in a mouse model of temporal lobe epilepsy that spontaneously develops tonic-clonic seizures. While KD-fed animals, again demonstrated increased numbers of seizures when treated with antibiotics, administering both the A. miciniphila and Parbacteroides bacteria restored the KD-related protection that was affected by antibiotic therapy. “Taken together, these findings support the notion that the gut microbiota mediates the anti-seizure effects of the KD across varied seizure types and mouse models,” the authors write. Biochemical analysis of the animals' gut, blood, and hippocampus suggested that KD-related microbiota altered the hippocampal gamma-aminobutyric acid (GABA) to glutamate ratio. “Bacterial cross-feeding decreases gamma-glutamyltranspeptidase [GGT] activity, and inhibiting gamma-glutamylation promotes seizure protection in vivo,” they write. “The bacteria increased brain levels of GABA—a neurotransmitter that silences neurons—relative to brain levels of glutamate, a neurotransmitter that activates neurons to fire,” explains Dr. Vuong. “… the KD alters the gut microbiota, promoting select microbial interactions that reduce bacterial gamma-glutamylation activity, decrease peripheral GG-amino acids, elevate bulk hippocampal GABA/glutamate ratios, and protect against seizures,” the authors state. “Our data suggest that KD- and microbiota-related restrictions in GG-amino acids are important for seizure protection, which aligns with previous studies linking GGT activity to altered seizure severity.” The team notes that a prior study in 75 human epileptic paitents have found high serum GGT activity in 84.5% of patients, compared with controls. The researchers acknowledge that further studies will also be needed to investigate any potential effects of a ketogenic diet on the microbiome in human patients with refractory epilepsy, and to determine whether changes in particular types of bacteria are associated with seizure severity. Studies will also be needed to see whether microbe-based therapies could represent a safe and effective treatment strategy for reducing seizure severity and frequency. “The implications for health and disease are promising, but much more research needs to be done to test whether discoveries in mice also apply to humans,” says Dr. Hsiao, who has helped to develop a company that will examine the potential clinical applications of her laboratory's findings. “This study inspires us to study whether similar roles for gut microbes are seen in people that are on the ketogenic diet,” Dr. Vuong adds.